The current competition for goods is very intense. There are countless new brands appearing every day, and the same product has countless competitors. Consumers receive a variety of information every minute, and there are many choices for the product. In the competition of many products and brands, the most important thing is to let the majority of the people know your company’s products and brands. If no one knows about your product, even if your company’s product quality is good, it will lead to no one cares. As a general rule, we will cooperate with advertising agencies to place advertisements on TV, radio, subway, outdoor, car body, etc., and will increase brand awareness in a short period of time, but the advertising fees used are high, Few companies can afford it. Have you ever thought that custom paper tube packaging can also be an advertising agency to promote your products and brands? This sounds incredible, and custom paper tube packaging or product packaging can act as an advertising agency. However, this is what happened.When we buy a product, the first thing we see is the product packaging, and the product is imagined and judged through the outer packaging. No one will buy an unpackaged product that is ugly and not worth buying. And research data shows that the same product, a package with a perfectly designed product, will increase the selling price by 50% compared to the unpackaged product, but consumers will still choose to buy a packaged product. 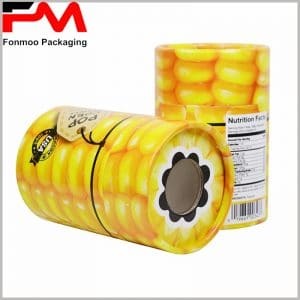 It can be seen that the customization of product packaging plays an important role in sales. With creative packaging design as an advertising channel, it has too many advantages compared with the traditional mass media. Traditional radio, TV commercials, car advertising, outdoor advertising, etc., each time the advertising budget is millions or more, and limited to a region or a program, time is limited to the time of advertising, the audience has restrictions, and Many consumers who purchase products cannot know about the products through the mass media. But creative packaging is to embody product and brand information on the surface of the packaging, so that everyone who buys the product knows the brand, so that product and brand information is communicated to every corner, including supermarkets, wholesale stores, retail stores and family. And, if your packaging is creative enough to appeal to consumers and feel that packaging brings fun or inspiration, it will spread the entire social platform in a short period of time. All you do, you only need a packaging design team, and you can get accurate advertising with very little budget. Customized product packaging should be given enough attention as part of an overall product plan or branding plan. We do advertising, or research and development of new products, the ultimate goal is to sell products to obtain the profits of the company. We spent a lot of advertising costs and research and development costs, but there is no custom packaging to promote this is your brand’s brand products, how consumers can be separated. We all know that there are dozens or more choices for consumers of the same product. Custom packaging with logo printing, the packaging content will clearly tell consumers that this is our product.In order to obtain the brand effect, the use of brand influence to promote product value-added and sales,we choose custom products packaging. If there is no packaging, any advertising or product development that is done will become meaningless. Rectangular product packaging is ubiquitous and structurally already difficult to attract consumer attention. Why not consider using custom printed paper tube packaging? Its market share is less than 10%, it is rare; and any printed form of rectangular packaging can be reflected in the round boxes. Creative cylinder packaging, auxiliary bronzing, hot silver, UV or embossing process will be a good interpretation of the product and brand. More importantly, paper tube packaging is used in a wide range of applications, including cosmetic packaging, food packaging, essential oil packaging, gift boxes, trouser packaging, and shirt packaging. Cardboard tube boxes can be packaged for any product. There are usually several common issues to be aware of when customizing paper tube packaging. Incorporating product packaging into a part of the overall product plan, the packaging must be designed and produced before the product goes on the market. Secondly, according to the actual situation of the product, we need to choose the material used for kraft paper, cardboard, gray board or double copper paper; the size and style of the packaging are based on the product market positioning and target consumer groups. Most importantly, packaging design needs constant adjustment and updating, making consumers always interested in paper tube packaging. Without any doubt, custom packaging will be the brand label of the product, making me more willing to buy and consume. Thank you very much for sharing.